Are you an animal loving business that often brings your beloved pet to work? If so we invite you to join in with our CQ Pet project. After noticing just how many furry apprentices we keep spotting in CQ businesses we thought it would be lovely to showcase them via our social media channels. 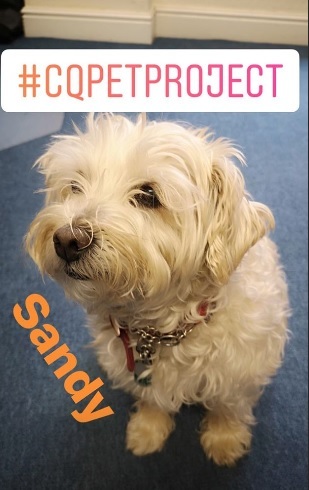 Pets have a high social media following so this is an opportunity for us all to think laterally about using this digital media to promote the Cathedral Quarter in a different way. If you would like to get involved, please contact the BID office via email, on 01332 419053, or speak to one of our BID Rangers. You can also follow the project on our Instagram channel.